This week we have a Guest review from the Smith Family. 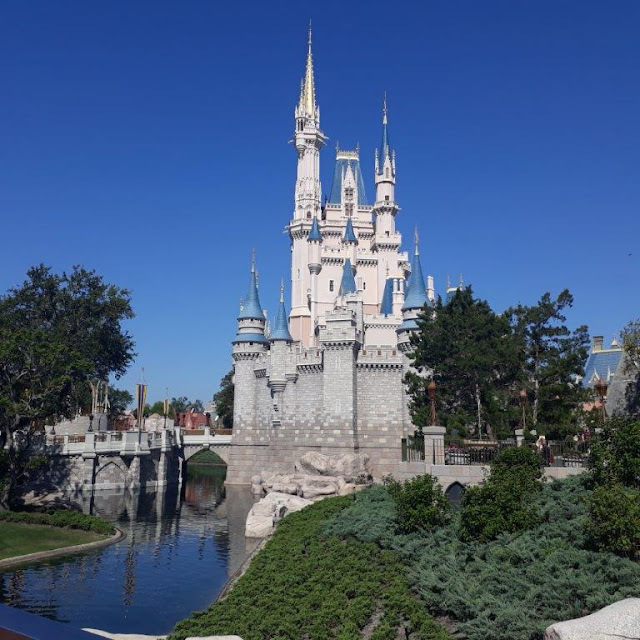 The Smith family are a family of 4 (Mum, Dad, girl ‘C.S’ 11 years old and a boy ‘O.S’ 6 years old) from Australia who have been to Disneyland Paris, Magic Kingdom Walt Disney World, Tokyo Disneyland, Tokyo DisneySea and Anaheim Disneyland. The Smith family travelled during October 2017 to Disneyland Anaheim in the lead up to Halloween, they have also previously travelled to Walt Disney World Florida in September 2012. How do the Parks compare at Halloween time?? We have visited Walt Disney World (Florida) and Disneyland (California) in the lead up to Halloween but in different years. The parks are decorated with a lot of Halloween decorations including jack-o-lanterns (some Mickey shaped of course!). Some of the rides were themed for Halloween as well. October 2017 was when we last visited Disneyland and there were more decorations centred around Dia De Mertos (Day of the Dead) this time around. This is probably due to the release of the Disney movie ‘Coco’. I thought it was great as there were a lot of colours and other decorations to explore along that theme. How were the rides decorated? Experiences? Space Mountain – Was renamed Ghost Galaxy and had ghostly holographic themes along the signage onto the ride. There were also ghosts “flying” around inside the ride, replacing the usual galaxies and stars that are found in Space Mountain. We all thought it was a great twist on a favourite ride. After being a lot of times you come to know what to expect from the rides and even though we love that about it it was nice to have something different for a bit of novelty. I didn’t think the theming for Space Mountain was that scary (and my kids didn’t either) but obviously if you have kids who do get a bit frightened it may be confronting. Up to the individuals children I guess. Haunted Mansion – The Haunted Mansion was another ride that had a theme variant for Halloween. It was all themed on Tim Burton’s “The Nightmare Before Christmas”. Following the main character Jack Skellington through the mansion you attend parties and spooky graveyard scenes. Again we thought it was a great twist on an old favourite. No other rides were as heavily adapted as the Haunted Mansion and Space Mountain, although there were a lot of Halloween decorations around the park that lead into the rides. Did the Halloween theming add to the experience? I think the Halloween theme was great. Growing up in Australia where Halloween was not that big until recently, it is always nice to go somewhere where it is celebrated for the novelty value. I think it adds a new dimension to the Disney park experience. Were there larger crowds because it was Halloween? Would you recommend Halloween a good time of year to go? I didn’t think the crowds were any larger than usual. We always try to visit the parks off season and during the week to have a better experience anyway. In both instances we were there a few weeks before actual Halloween (October 31). I would say if visiting in the week before Halloween, crowd numbers might increase then. They often run the Halloween theme for a few months before Halloween so my advice would be if you wanted to experience Halloween at Disney - go a month to a few weeks before to enjoy. Did you see any funny things in the park because it was Halloween? Nothing funny per se but the creativity with the Halloween decorations and incorporating into the park and the characters was fun. The Donald Duck and Mickey Mouse Jack-o-Lanterns were cute. With Disneyland (Anaheim) in October the first hour or so in the park was great as it had just opened for the day. We walked on to the Matterhorn, Space Mountain, the Finding Nemo Submarine Voyage ride and the Autopia race cars with no line ups. Then we alternated between collecting FastPasses and lining up in shorter lined rides while waiting for the FastPass line. For example, we went and collected the FastPass ticket for the Haunted Mansion then waited in line for Pirates of the Caribbean and by the time that finished our FastPass time for the Haunted Mansion was ready. We did the same on Indiana Jones, got the FastPass then went on other rides while we waited. ‘Mickey’s Not So Scary Halloween Party’ at Walt Disney World’s Magic Kingdom and ‘Mickey’s Halloween Party’ at Disneyland Anaheim are special events offered certain nights around Halloween. Disney also relaxes rules on Adults over age 14 being able to dress up (although please refer to the official Disney website for more details about costumes). If you do not intend to buy a ticket for these Halloween Party Nights, please make sure you check the official Disney websites on what nights these events are on as the park may close early on these nights to general admission (no fireworks). I've never been for Halloween, but this makes me want to go! Love this post. I love Halloween and Disney!! Cool! Will consider going around this time to experience the Halloween theme. We have gone when it was decorated for Christmas and that was neat! Thanks Minda for your comments. Christmas time must have been great in the parks.